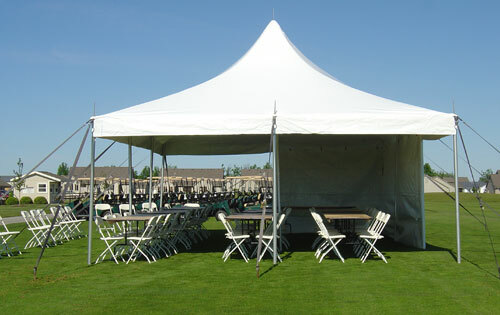 Giving it a modern look, this tent is built with an elegant high peak design with smooth curves and is tough enough to withstand through rental and commercial use. Included are the required stakes and ratchets and user friendly instructions. No installation experience is required to set up this great product because Celina has designed the process to be very simple. You will not regret your investment in this highly durable and stable pole tent by Celina.